Take a look at your home computer screen – I bet it’s your kids. If your house was on fire, what belongings would you want to save? All your irreplaceable photos? What are the books you’ll keep forever and pass down for generations? Your family photo albums? What are or were some of your parent’s favourite possessions? Black and white photos of their parents? Beautifully framed photos of their children? How will you keep those memories of your children’s huge lashes, the way they look at you and cuddle in your arms, the crazy way you two laugh together? Photography does that beautifully and is a great way to document your family history. I know that we all take photos of our kids, but nothing can replace the experience of an actual photographer. An album which you can touch, flip through, and hand down will never replace digitals that are erased every time we run out of storage. And what about you? How many photos will your children have that include their Mom and Dad? You are a huge and important part of their life too. 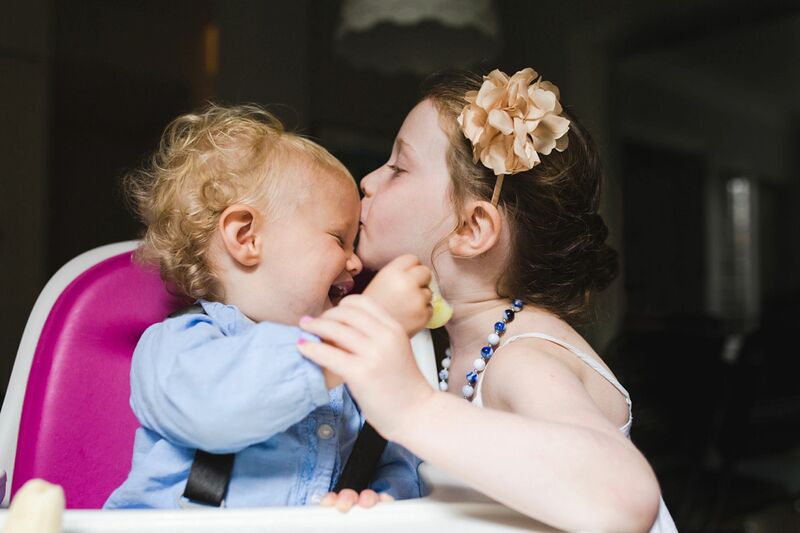 Capture your memories for both you and your children in a format that’s tangible and beautiful. A photography session with me is a simple process from booking to payment, and the actual session itself is laid back and casual. I’ll capture your love, your precious moments and the beauty of your family right now. Contact me and capture this moment in time with something beautiful. What type of photographer are you? Just like a singer specializes in one musical genre, photographers do too. Even photographers who specialize in family and newborn all have their own style and you have to make sure that whoever you choose to capture your family fits the type of photos you would like to cherish for years. My work is natural, organic and emotional. I try to capture beautiful moments of family love, and in-between moments of family reality. Just as I love a beautiful portrait, I also love scrunched up faces and imperfect moments. I want to capture genuine images for you to treasure for a lifetime. This is an investment for you in your family history. I try to tell the story of your family right now, both the hugs and love but maybe also the cooking together, running around or acting silly. 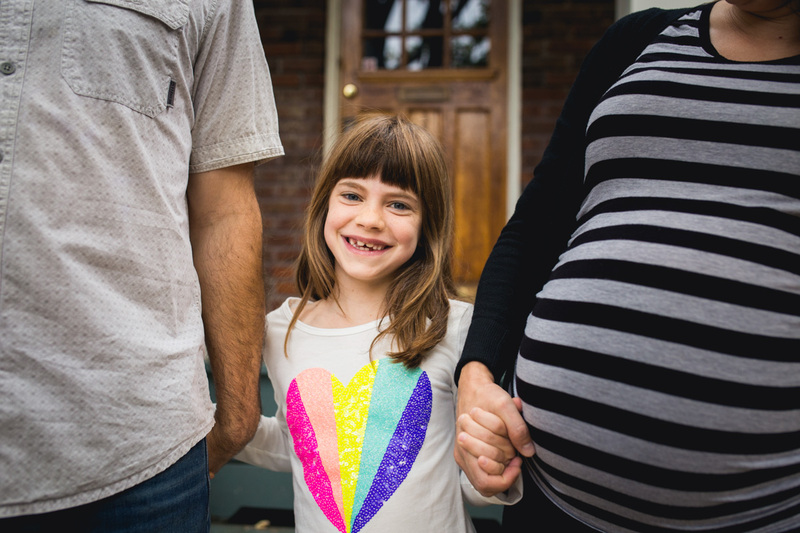 You will receive a combination of natural family portraiture and in-between, totally candid moments. 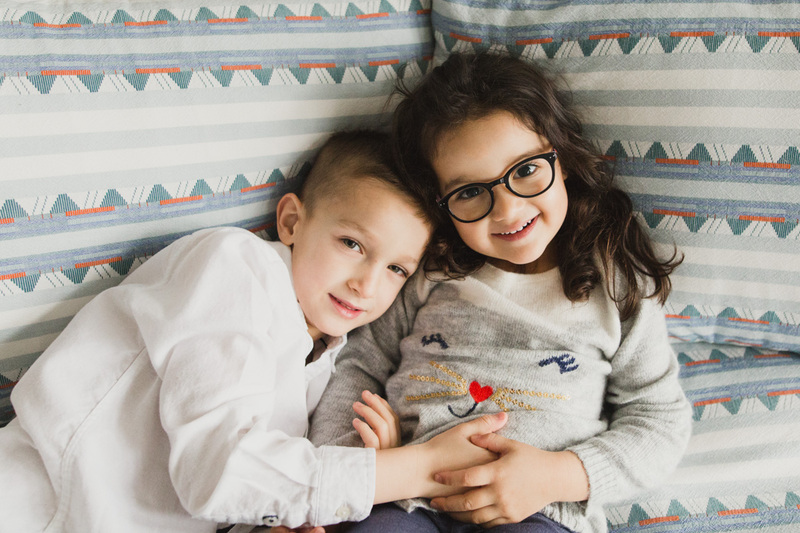 If you are looking for perfectly posed traditional family photos, there are many fabulous photographers who do that and I will be happy to refer you on. Yes, we may get some of everyone looking at the camera and smiling but these will occur naturally, and not because it was forced. I also find a lot of families are worried they won’t know ‘what to do’ at a session. I want to assure you that during my sessions there is a lot of direction for movement and actions. You will be guided every step of the way. After you book with me you will receive a guide full of all sorts of info so you are fully prepared. Your session will take place in your home, in studio or outdoors at a place we decide on together. These sessions will take place throughout the entire house from your bedrooms to the kitchen. I will direct you to wherever the light works best but this is also dictated by your kids and where they want play. Houses are messy, laundry isn’t done and toys are exploding everywhere. That’s OK. I can shoot around most of that. But remember that this is your story and your life right now. You don’t have to put all your prints on your wall. But someday you will look back at those trains scattered everywhere and smile… I promise. Remember that this is where you are most comfortable, where your kids are most comfortable and looking back you will remember this place as the environment where your kids grew up. This is your beautiful everyday. In-home sessions generally last one to two hours. These are perfect for families who still want casual photos but don’t want them in their home. 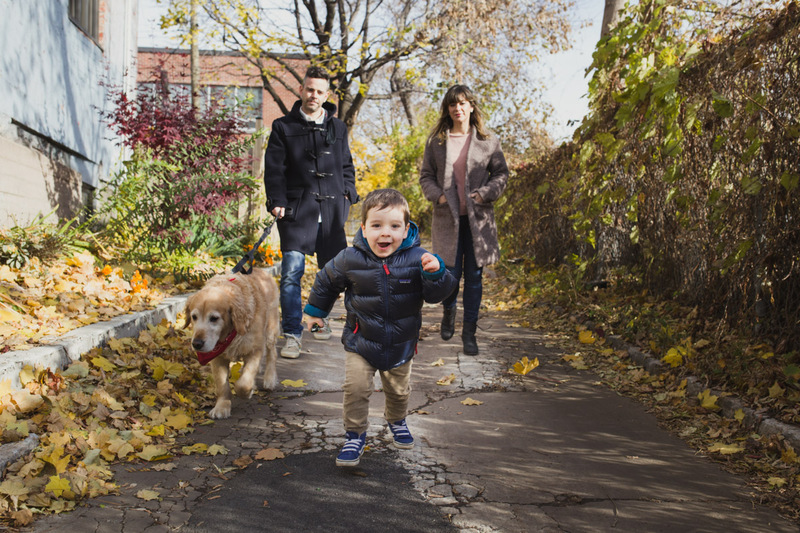 The studio location in St-Henri is very convenient and has a couch and chairs to create those casual but loving family photos. These sessions take place in the couple hours after sunrise or before sunset. This is the time to capture that warm glowing light. If you want to do a little bit of indoors and outdoors, let’s talk. Read more about Indoor vs. Outdoor Sessions here. 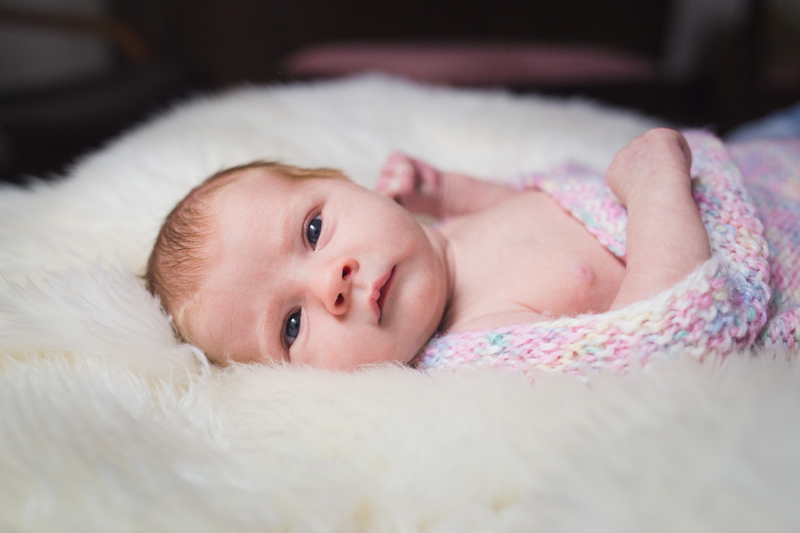 Newborn sessions are done in-home or in-studio. It’s best if the session is done within the first 18 days of life while the baby still tends to be sleepy and co-operative. Missed those weeks? We can still make magical photos but your baby may be much more alert. Please note that I do not do posed baby photography and I do not use props. Generally these are done between 28-34 weeks before you are too uncomfortable, but I’ve photographed women all the way up to their due date. I do have a selection of dresses I can bring to your session. When is my gallery delivered? 2-3 weeks after our shoot I will send you the link to a private online gallery. Do you offer mini sessions? I do not offer in-home mini sessions. I do offer in-studio mini sessions which I call Portrait Pop-Ups. These are offered 2-3 times a year and so far have sold out. If you are interested I suggest signing up to my newsletter for first alert. These definitely have a different feel, but are still very casual and modern. We are super awkward in front of the camera/my husband hates the idea of a photoshoot. Is this really going to work out? Honestly, I get this from sooooo many of my families which is why I felt I had to include it. My job is to make you feel comfortable, guide you and create photos just like the ones you see in my portfolio, because these people said the exact same thing too. I know you are not a model, but I do know you probably love your family and that’s what I want to show. My maternity clothes are terrible. What should I do? I’m so pleased to offer a small but beautiful selection of tops and dresses to all my maternity clients. These include simple tops, fitted dresses and gorgeous draped maxi-dresses. I know not all of you are maxi-dress mamas, nor are you all into jeans and a top so I have a little bit of everything. Take a look at my selection here. I want to look natural, but amazing. Can I have hair and makeup? Yes, this can be added upon request. How much does all this cost? Please contact me for details. How do I book a session with you, Michelle? Thanks for asking! You can email me directly at michelle at michellelittlephotography dot com or contact me here.